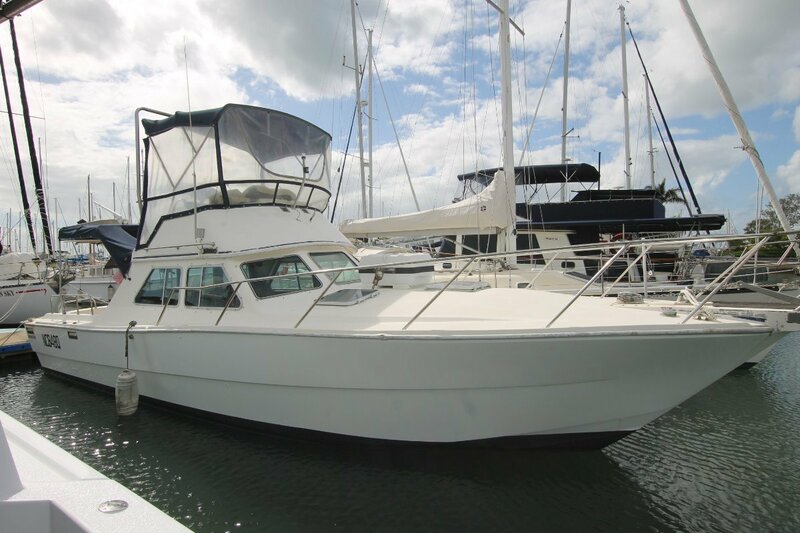 For those loking for a project, this Randell 234 flybridge should provide plenty of distraction. She's rough inside and out but sound. She requires a fit out and and some serious elbow grease to get her looking good. So what do you get for your $50,000? Two x 260hp KAD44 high performance Volvo Penta diesel engines installed new in 2002, she may look a bit shabby, but as a fishing vessel she has a lot to offer. Apart from the fantastic engines, the owners had started a refurb, the galley is in good shape but the dining salon is non existent and the fwd accomodation and flybridge need a revamp. Exterior wise she is in original well used condition so could either be used as such The current owner reports spending over $100,000 on repower, tanks etc. 2 x 260hp KAD44 6 cylinder diesel, 24 valve, turbo charged with duo prop. Navman chartplotter and VHF radio. Plenty of work to do inside and out, but with these fantastic motors with very low hours she has a lot still to offer.